Conductor Hildo Flierman co-ordinated 4 orchestral concerts performing Laura Rossi’s score to The Battle of the Somme live with the film across the Netherlands. 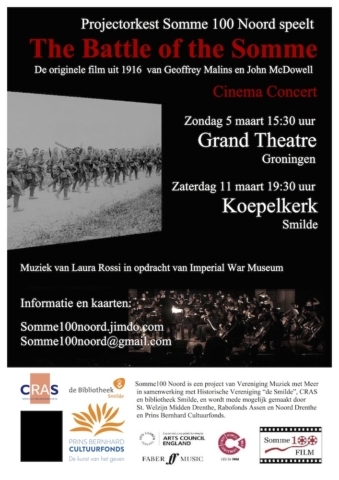 He put an orchestra together especially for these concerts called Project Orkest Somme100 Noord. The orchestra consists of enthusiastic advanced amateur musicians from various associations and professional string players including Minerva String Quartet. The players come from places including Harlingen, Franeker, Heerenveen, Oosterwolde, Groningen, Hair, Assen, Deventer, Emmen and Amsterdam. 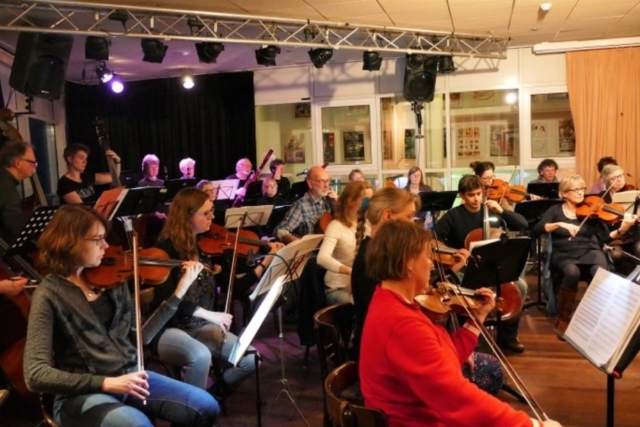 Project Orkest Somme100 Noord also brought the Sounding the Somme project to students at Vincent Van Gogh college in Assen. 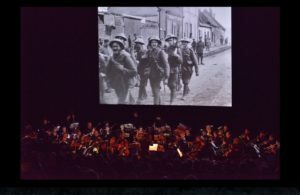 Students composed their own music to footage from the Somme battle, using our resources, which were performed in a concert. 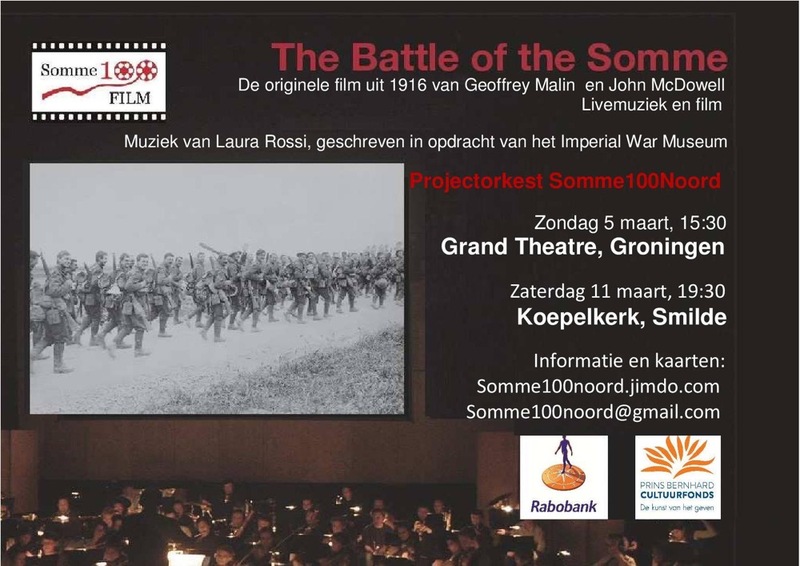 “When I first learned about the Somme100Film project, early 2016, I immediately felt I should bring it on in Holland, even though The Netherlands had a neutral status in WWI, and we, Dutchmen, don’t know too much about the Great War at all. 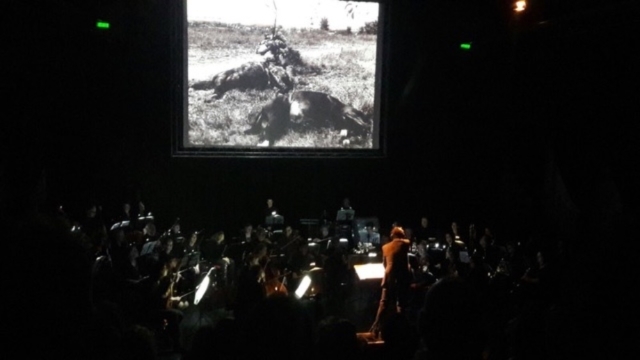 The combination of history, by means of the film, the educational side-project and last but not least Laura’s moving and brilliant score, I knew, this would be my once in a lifetime opportunity. My closest friend, and co-organizer in so many projects Erika Santinge joined forces, and we cycled through the Somme-fields in July ’16, we saw a performance in London, and later on in Teignmouth, we visited IWM, we met Laura and Neill and we started getting an amateur orchestra together for 2 live screenings in the Northern part of Holland. End of November we started rehearsing. We had some troubles to get the instrumentation of the score complete, and reinforced some of the string parts by adding saxophones, and replaced the lower horn parts by Baritone/Euphonium. Professional players from Minerva String Quartet, some of their friends, and principal trumpet player Rani Elias from Syria joined our orchestra. 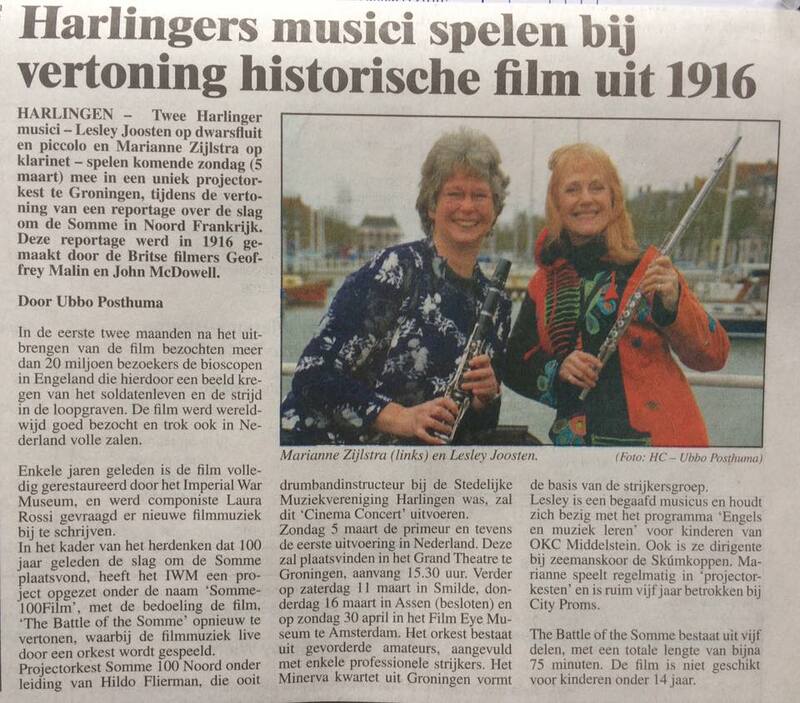 Our “première” was on March 5th, in Groningen, in Grand Theatre, a former cinema. 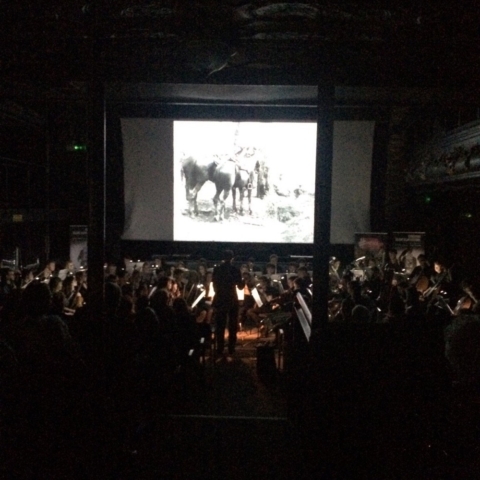 Apart from the Battle of the Somme we played Copland’s Fanfare for the Common Man. 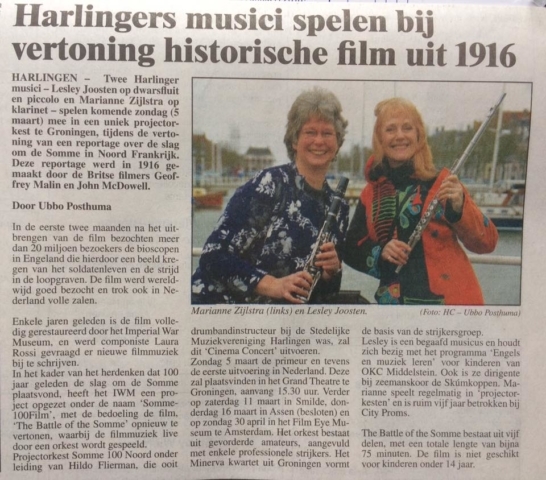 The second screening was on March 11th, in the historical church in the village of Smilde. For this particular venue the local Historical Association brought together stories and insights in life during the War years in Holland. In the meantime Erika and I had introduced the “Sounding the Somme” project to Vincent van Gogh College in the city of Assen. Students composed, rehearsed and selected music to some of the clips provided in that project. How well they succeeded! On March 16th they presented their work. Finally, our Somme 100 Noord Orchestra was invited for a screening at Amsterdam’s Eye Filmmuseum. Laura and Neill joined us in what would become a true memory for life, for all players and conductor.